The Viking boys’ basketball team has completed one of its most successful regular seasons in the last three decades. Now the team gets to play on the biggest stage to see if it can challenge for the school’s first regional title in 36 years. 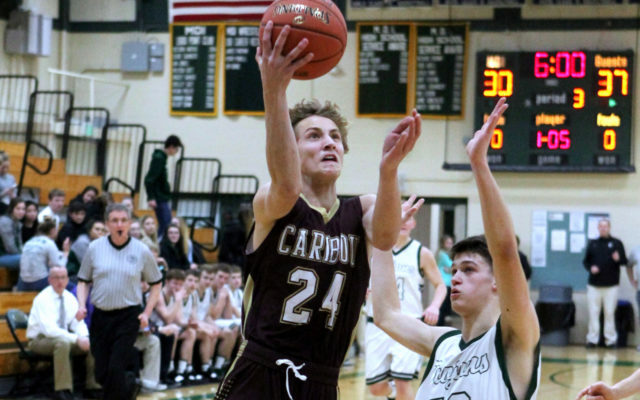 CARIBOU, Maine — The Viking boys’ basketball team has completed one of its most successful regular seasons in the last three decades. Now the team gets to play on the biggest stage to see if it can challenge for the school’s first regional title in 36 years. Caribou, 15-3 and ranked No. 2 in Class B North, takes a 12-game winning streak into Friday’s 6:30 p.m. quarterfinal at the Cross Insurance Center in Bangor. The Vikings take on the winner of the preliminary playoff game between No. 7 Orono and No. 10 Washington Academy, which was scheduled for Wednesday. The Vikings earned victories over both opponents, defeating Orono at home Jan. 19, 84-60, and then stopping Washington Academy in East Machias three days later, 79-64. “Orono has a height advantage over us and proved they can shoot the 3 extremely well, and Washington Academy also has the height advantage and has a really athletic and quick team,” said first-year coach, Kyle Corrigan, who is assisted by a pair of Caribou High School teammates from a decade ago in Ben Rosser and Jeremiah Fitzherbert. “We’re looking forward to preparing for and competing with whoever wins that prelim. The Vikings started the season 3-3, opening with a home loss to Hermon, which ended up undefeated and is first in the standings. A victory over Fort Kent followed before a loss to Maine Central Institute in Pittsfield. 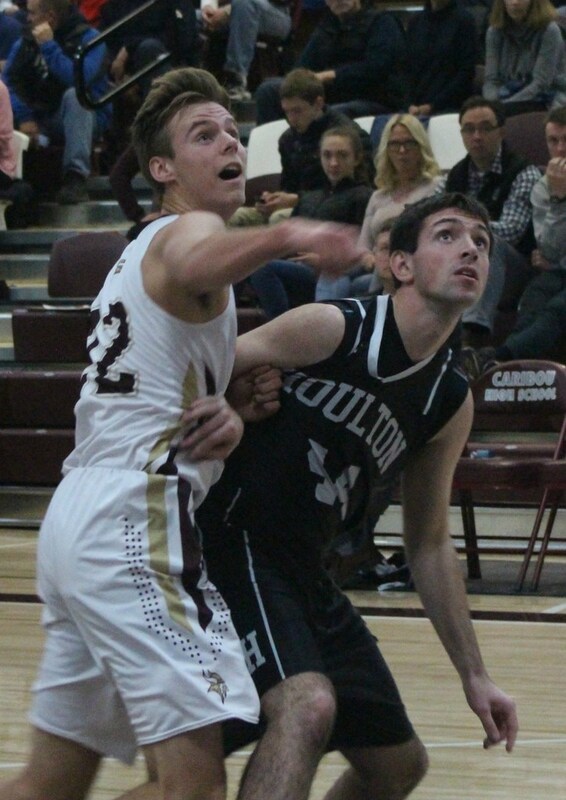 After defeating Houlton and Old Town, Caribou lost on a shot at the buzzer at Mount Desert Island Dec. 27. Then came the long winning streak, which included surviving at home against Fort Kent, a thrilling come-from-behind triumph at Houlton, home wins over MDI and Ellsworth, capped off by Thursday’s home triumph over Presque Isle. “The tables really turned after that loss at MDI,” Corrigan said. “The guys have really responded well to the challenges we throw at them in practice. “The regular season as a whole has been a great one, but we’re looking to make a few more memories in the tournament,” he added. Caribou averages just under 70 points per game as a team and has scored 80 or more points on four occasions, using a fast-paced attack which often wears down opponents. The Vikings’ starting five includes one senior (Austin Findlen), three juniors (Parker Deprey, Isaac Marker and Alex Bouchard) and a sophomore (Sawyer Deprey). Findlen is the emotional leader and relishes the responsibility of defending the opposing team’s best guard most games. Parker Deprey has been the team’s scoring leader at over 19 points per game and does it in a variety of ways. Marker has become the team’s second-leading scorer (13 ppg) after making great strides from last season. Bouchard (10 ppg) has thrived as the floor general and leads the Big East Conference in assists at 5.5 per game. “He is one who could look to score more but really loves to get his teammates easy and open looks,” Corrigan said. Sawyer Deprey (8.5 ppg, 6.3 rebounds per game) rounds out the starting five and has been a force rebounding the ball, both on the offensive and defensive glass. “We really struggled at the start of the season with our rebounding and Sawyer has given us a huge spark with his determination and ability to pursue the ball off the rim,” said the coach. The remainder of the roster includes seniors Tharen Hand and Iffy Sargent, juniors Cullin Caverhill, Jacob Berkoski and Jacob Paul; sophomore Ethan Holdsworth and freshman Michael Brigman. The team’s success this season has spurred on excitement within the community, with attendance at home games impressive, culminating with the 1,300 fans that came out for Thursday’s game against PI. Corrigan said some road games have felt like home games with the large crowd that has followed this year’s team.